Known the world over, the Montessori Method is an educational philosophy that focuses on developing a child’s independence and confidence through curiosity and self-determination. After extensive observation of children, Italian doctor Maria Montessori realized that young children can teach themselves and flourish in an environment specifically prepared for their developmental needs. If you’ve ever toured a Montessori school you’ve likely noticed that the classrooms are beautifully inviting spaces. Clean and uncluttered, you’ll find solid wood furniture, real plants, and simple artwork – each corner of the room is thoughtfully curated to invite discovery and promote learning. 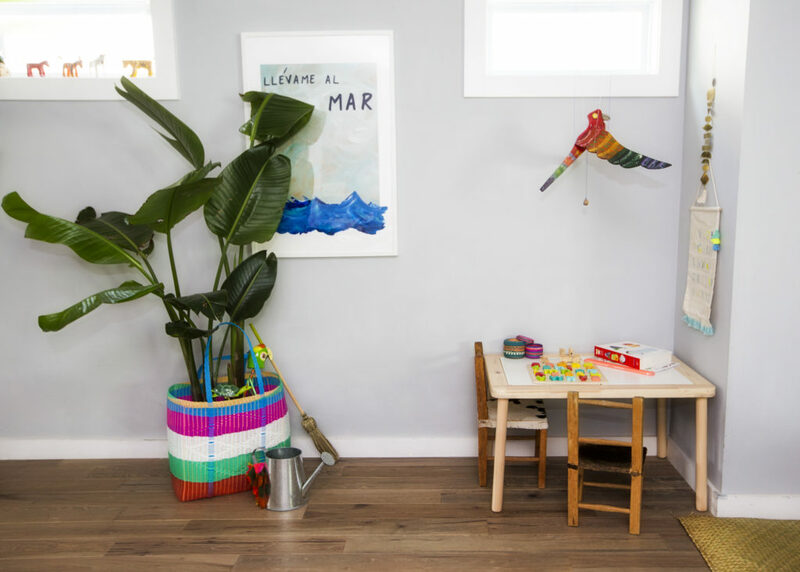 You can’t help but feel a sense of serenity and calm after visiting a Montessori school, so it’s no wonder that many parents are incorporating Montessori elements into their own homes. 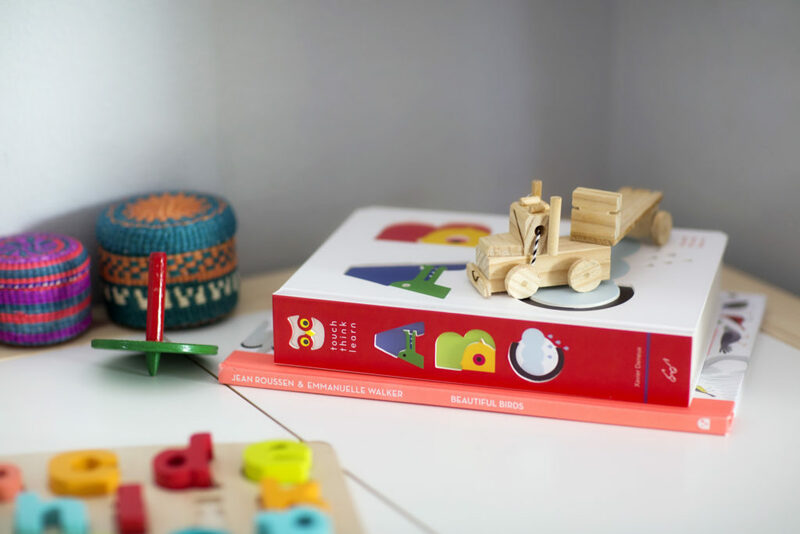 We teamed up with photographer Susan Potter and two local companies Esperanza Heritage and Chapter Goods to interview Carolina Peredo, director and founder of La Tribu Preschool to understand more about the Montessori approach. Carolina was a journalist originally from Argentina (La Tribu is also a Spanish Immersion preschool) who discovered Montessori through her own research after becoming a mom. 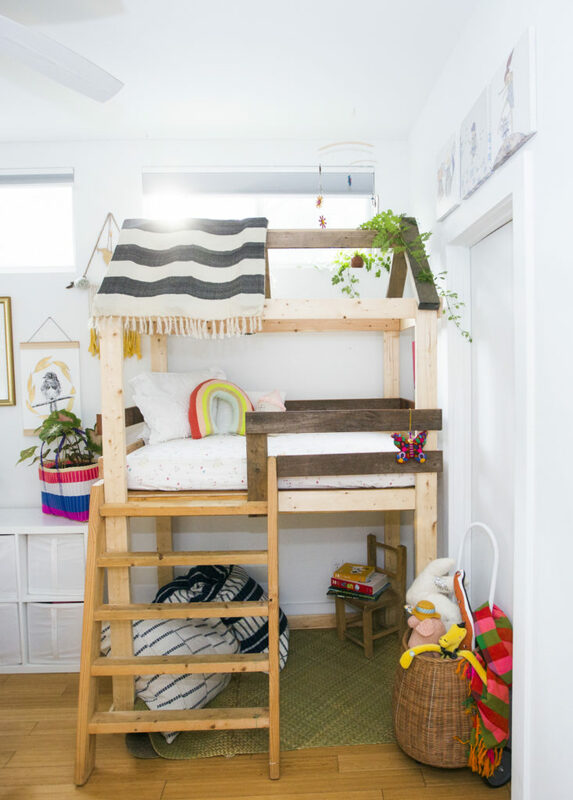 Read on to see how the method can be used as a muse to create tastefully decorated, child centered spaces in your own home. What sets Montessori approach apart from other educational philosophies? Montessori education goes all the way to high school and can be thought of as “education for life”. Montessori gives each child the opportunity to recognize his/her own capabilities, strengths, and limitations while being able to discern when is time to ask for help, or keep researching to arrive to a conclusion on their own. Montessori education works with each individual’s interests, so the kids are working because they want to, and because they have a natural and legitimate interest – not because they need praise or to arrive to a certain score or external goal. At the end of the day I think Montessori kids are shown to be resilient, flexible, and open minded. What are some of the hallmarks of a Montessori inspired space? Montessori spaces are created by seeing the environment through the child’s eyes and thoughtfully arranging things to promote learning for the specific age and stage of the child. At a basic level you’re trying to set up your home, or designated spaces in your home, in a way that helps your child to help themselves. Start by literally getting down on your child’s level to see what they see and think about ways to modify the environment in a way that allows them to better navigate and manage daily life on their own. What are some key tips for arranging a Montessori environment? First and foremost ensure that furniture and regular household objects are sized appropriately for small children in order to promote autonomy. Think about whether or not the furniture is designed in a way that the child can manage using the object on their own so they can be successful and feel accomplished – this will actually cut down on power struggles, tantrums, and provide an environment in which they have safe options to choose from. Practical life activities can also be promoted by incorporating household objects, made of real or natural materials, that are sized for the child’s use. Examples include small glasses, cleaning items, or changing stations on the floor level. Can you explain the importance of order and simplicity within the Montessori approach? 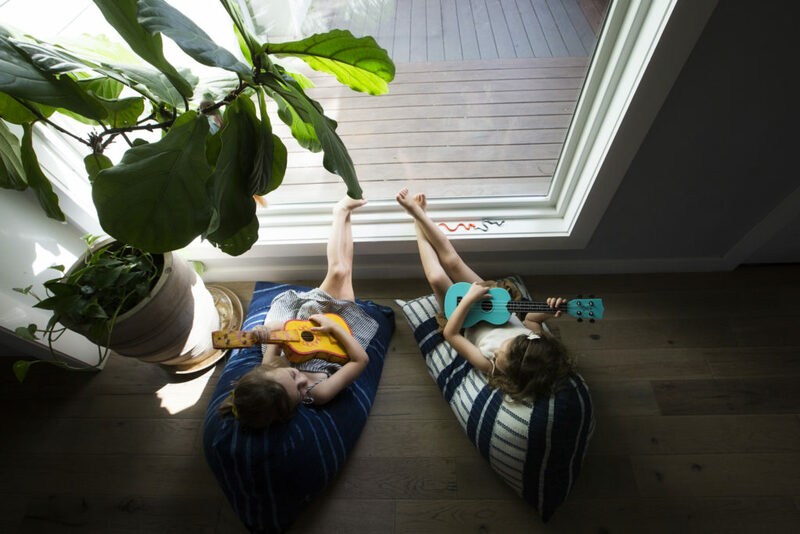 Embracing Montessori methods at home happens to be one of the best ways to declutter and simplify your surroundings to create a calming environment. If children have too many things to choose from (books, toys, sights, sounds) they can easily become overstimulated and bounce from one object to the next without fully concentrating or immersing themselves in a single activity or task. Keeping things sparse and orderly also gives your child a better chance at learning how to clean up after themselves and put things back where they belong. Remember to store and rotate items that are not in current use, swapping them out when your child loses interest. They will be excited to see the ‘new’ things you bring out! 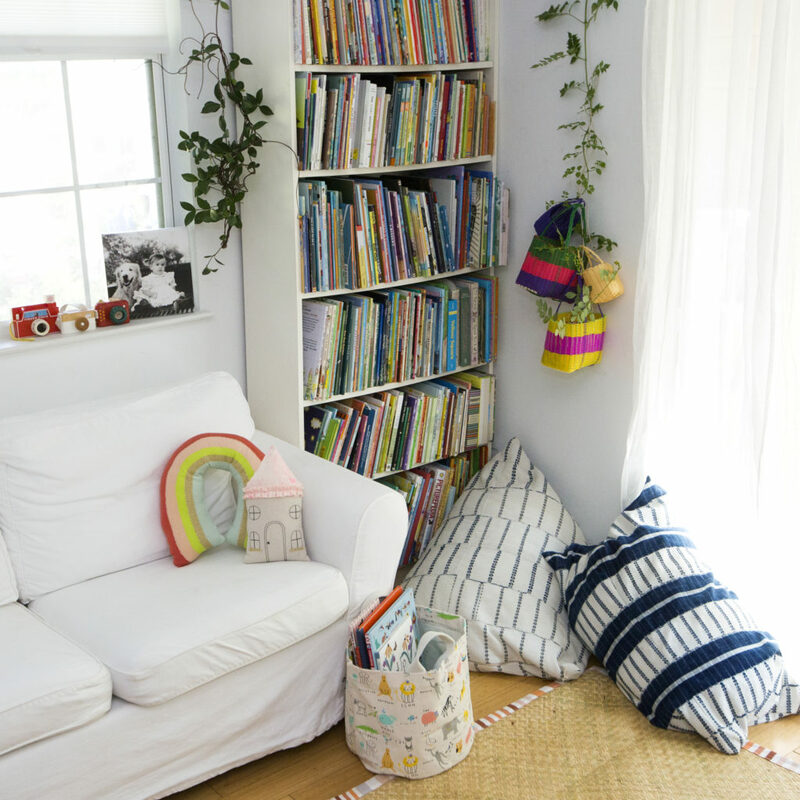 Where can parents find additional resources and inspiration for creating a Montessori inspired space in their home? How We Montessori is a helpful blog about daily life and suggested activities from a mom with different aged kids who has embraced the Montessori philosophy in her own home. Sprout is another great website to browse through Montessori inspired furniture, toys, and household items. Below you’ll find additional inspiration from a photoshoot with Esperanza Heritage and Chapter Goods, two local mom-owned business that aim to make it easier for parents to incorporate stylish and family-friendly products into their homes.